HMCS Queenston is one of a class of naval auxiliaries for the Royal Canadian Navy that are being acquired as part of the National Shipbuilding Procurement Strategy. This program will see the RCN acquire two multi-role vessels to replace the Protecteur-class auxiliary oiler replenishment vessels that were formerly operated by the RCN. Currently the budget for the JSS project is $2.3 billion (excluding taxes). In addition, $2.6 billion is expected to be spent on personnel and operating costs during a 30-year service life. The in-service support allocation for 30 years will be approximately $1.9 billion. According to the DND “The first JSS, the future HMCS Queenston, is scheduled for delivery in 2021 and should be operational later that year. Following its delivery by Vancouver Shipyards Co. Ltd., the RCN will conduct a series of trials to ensure that the ship meets its requirements. The second ship, the future HMCS Châteauguay, is expected to be operational by 2022.” Based on the history of Canadian attempts to recapitalize the military’s major fleets there is no reason to believe that these timelines will be met. The two ships being procured to replace the Protecteur-class vessels will be based on the Berlin class vessels designed by TKMS and will be built by Seaspan Marine Corporation at the Vancouver Shipyards facility located in North Vancouver, British Columbia. The design was chosen over BMT Technology’s Aegir design. The Berlin class vessels are in service with the German Navy while a variant of the Aegir design is just coming in to service with the Norwegian Navy. 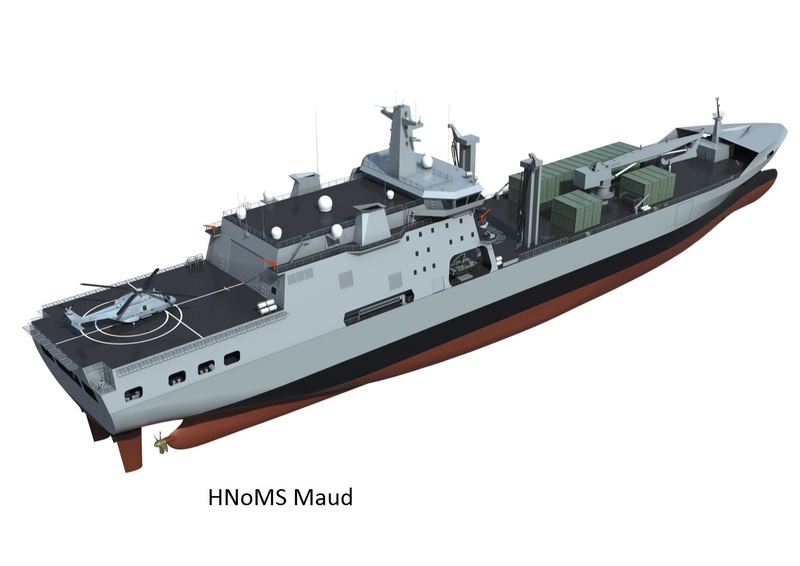 HNoMS Maud, a Logistic Support Vessel, was ordered in 2013. This AEGIR 18 design is based on the British Tide-class tanker from BMT, and is being built by Daewoo for delivery and service entry in 2017-18. The 26,000t vessel will allow replenishment at sea of fuel and some solid stores, as well as having hospital facilities and a helicopter hangar which makes it comparable to the Berlin class vessels. It is interesting to compare and contrast the Berlin class vessels, of the kind Canada is purchasing from Seaspan and the Support Vessel built for Norway. As can be seen, the ships are very similar; there are really only two major differences. HNoMS Maud is almost finished and expected to see service in 2017-18. HMCS Queenston has not been started and nobody who follows the program believes that it will be ready for duty by 2022. You could hire 2,125 workers at $80,000 per year for ten years. These would probably qualify as the “good, middle class jobs” we keep hearing about. You could hire 3,400 privates for the Canadian Armed Forces for ten years, which would have the effect of bringing the ratio of privates to generals back into balance. At $50,000 per year they might also be considered “good, middle class jobs’ but oddly enough no one has ever considered increasing the size of the military so as to provide these much sought after jobs. Possibly because nobody who actually uses the phrase "good, middle class jobs" has ever been in, or even knows anybody in, the military. You could buy 20 F-18 Super Hornets, at $85,000,000.00 each or 15 F-35’s at what is probably going to be the real cost of around $115,000,000.00 each. You could buy lease four converted supply ships for more than four years, at $100,000,000 per year, and still have money left over. You could make a good start on ensuring that every person in Canada has assured access to clean water. You might think that in a country as wealthy and ‘progressive’ as Canada that would be a given, you would be wrong. Yes it’s a game that’s fun for all ages, “What could we buy for $1,700,000,000.00” but it is just a game. We do not have an extra 1.7 Billion dollars; instead we are going to spend almost four times more than is needed to purchase two supply ships. You could ask your government, you could petition your MP, you could write to the Department of National Defence but be assured, nobody knows why and nobody can stop it.